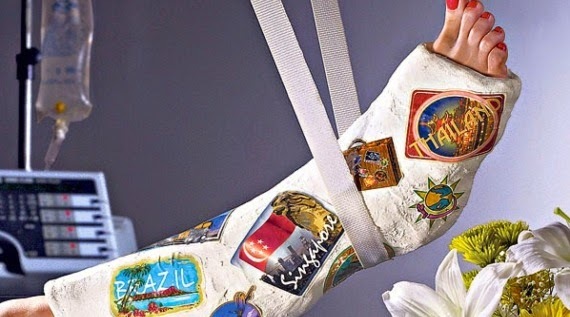 Global Travel News: Travel Insurance: When Do You Need It Really? According to the Association of British Insurers, medical treatment overseas costs a whopping £2,040 on average. Private health insurance and credit card accident cover does not guard against most travel emergencies. The British Consulate cannot help you if you’ve chosen not to take out travel insurance, and all emergency expenses must be covered by you. So any travel insurance that covers medical expenses while abroad is imperative. Medical treatment accounts for one of every three travel insurance claims. But most travel insurance policies also include coverage options which will cover personal liability in the event that you’re sued for injuring someone or for damaging someone’s property; for cancellation or delay costs, as well as for any costs if your trip is cut short; and for lost or stolen luggage. If you think there is a likelihood that any one of these things should happen, then you should definitely purchase full-coverage travel insurance. Pay careful attention to the fine print when selecting your insurance option. Travel insurance coverage varies when it comes to natural disasters – like earthquakes or volcanic ash clouds – and for other major occurrences which might upset travel, such as strikes, terrorism, civil unrest, or even epidemics. There are certain travel conditions which may require further insurance. For instance, if you’re into winter sports – like skiing, snowboarding, etc. – or adventure sports – such as bungee jumping, kayaking, etc. –, then you’ll likely need extra coverage, as “dangerous activities” are often excluded from regular travel insurance plans. Another special circumstance you should be aware of when choosing your insurance is that if you currently have a medical condition, or if you’re over 65 years old, then specialist insurance may be required. When you go to purchase your insurance, you must tell your insurer about any pre-existing medical conditions, as well as any and all health issues, whether or not you believe them to be significant. For instance, if you’re regularly taking pills for angina or high blood pressure, you must inform your insurer, otherwise the policy will be invalid. Additionally, most policies do not cover travel destinations of which the Foreign and Commonwealth Office advises against visiting. You can view the full current list on the Foreign and Commonwealth Office website. It’s important to know that European Health Insurance Cards (EHIC) are valid in all European Economic Area countries, and that EHIC will allow you to receive the same state-provided medical care as a local. However, the level of local care may not stack up to the quality of care received in the UK. Also, if the local medical system stipulates, you might be required to pay a portion of your medical bills. 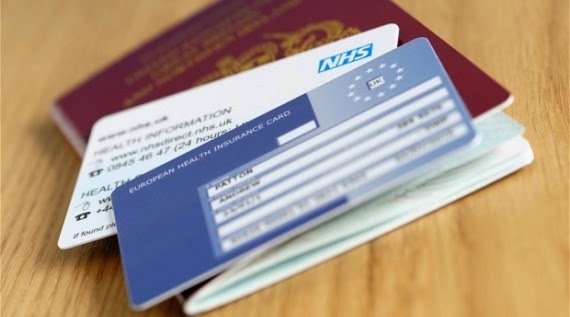 The costs of repatriation (returning to your home country) after an emergency while on holiday will not be covered by EHIC. And that flight home will likely cost a pretty penny. With an EHIC, many insurers don’t require that you pay your medical claims’ excess, but it’s still worth springing for travel insurance that includes medical and repatriation coverage. All in all, travel insurance is your safety net, and you probably don’t want to go without. Unless you like a good free-fall. Being that Britons spend two times as much on sweets and magazines at the airport than the average single-trip travel insurance policy costs ... well, this might put into perspective where your travel priorities should lie.